One more year, PLASTGrommet will participate in the most important fair of the graphic sector in the United States: the ISA Sign Expo. 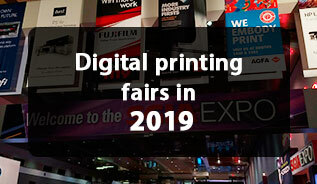 Since 1947, the fair has brought together thousands of leading companies in the graphic arts, digital printing and visual communication sectors. It is organized by the International Sign Association (ISA), a trade association with more than 2,300 members from the 50 United States and 54 countries around the world. Being one of the most popular fairs and with great growth in the graphic industry, it is more than necessary for us to attend and exhibit our best products for the American market. This will be our third consecutive year and we are sure it will be a great experience. Last year it was a success adding new distribution partners across different states. Our new products were very well received by the attendees and orders kept coming in during the months following the event. For this year, we have prepared a complete booth with our star products and the presentation of new equipment for our US customers. When we say new products, we mean two pieces of equipment that are a must-have for any wide format print shop that wants to increase efficiency in their operations. We will be showing for the first time in the US after their European success the automatic grommet press Evolution and the roll media lifter called Compact Lifter. During the fair, we will have on display the Evolution automatic grommet press, being able to set 35 grommets per minute, fully automatic. It has been designed with mid-size companies in mind that need to set grommets on banners, mesh and Coroplast. It is an advanced grommet-setting system that optimizes the efficiency of the finishing departments in print shops and thus improve delivery times. 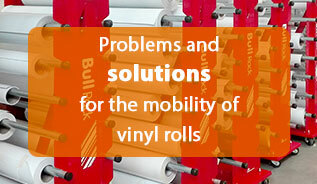 It is a great help for large format printers to be able to move large rolls quickly and risk-free. With Compact Lifter a single person can load the rolls directly from the floor without any effort, avoiding back injuries. During April 24th, 25th and 26th we will also showcase other products that are having great sales success in the United States. The Queen and Speed Queen semi-automatic grommet machines for medium productions will have special presentations at our booth. Also on display will be our classic grommet setting tools HPS025 and our Corner Rounder, both perfect machines for small productions where manual machinery is required. For the organization of workshops, we will have our main storage racks as Bull Rack, MultiRack, Easy Rack and Mobile 16. Bull Rack is our #1 selling product and comes always with media poles and plastic end caps. All of them have a solid steel structure and will help you to store media rolls using the least space, keeping your media in perfect shape. 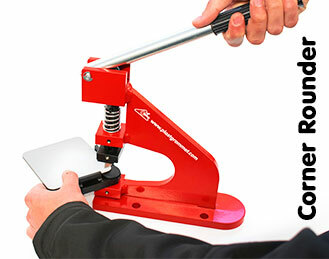 In addition, our popular range of Car Wrapping microfiber squeegees, available in 4” and 6” will be on display. 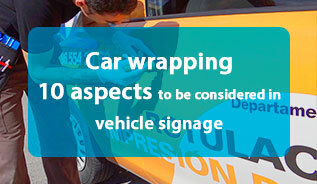 These squeegees can be used either wet or dry and are a must-have for vehicle wrap installers. 2019 is full of emotions and growth. At PLASTGrommet we are aware of the importance of being wherever our customers and distributors are in order to maintain a close relationship and an excellent service, which are company values that we consider fundamental for our growth.